Personal Training Leeds - 3 Sessions for £100, Sign Up Today! 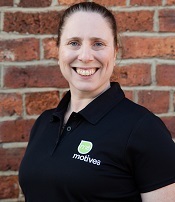 Jenny is the founder of motive8 and has worked in the fitness industry for the last 20 years. Jenny’s specialism’s are fat loss and endurance training. She has a great track record with her clients, from helping clients with no running experience complete 5k's and 10k’s and helping client’s lose up to 5 stone. Jenny is also qualified in pre and post-natal training, and loves keeping her pregnant clients in shape. A keen triathlete, Jenny represents Great Britain for her age group at triathlon and duathlon. If she's not at work she'll be out on her bike, swimming in a lake or out for a run. If you have an 'off-day' don't fall off the wagon completely. Get back into your routine straight away. One 'off day' probably won't upset your progress, but many 'off days' will! Chris' knowledge is second to none. 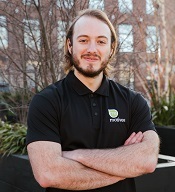 Specialising in Strength & Conditioning, Chris loves improving his client's athletic and sporting performance. He also has great success with his weight loss clients too. 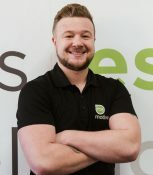 Hire a personal trainer with proven success, look at their testimonials online and see what they have achieved with other people. Kate is an enthusiastic, passionate and sometimes little over-excited personal trainer who has worked in the industry since 2009. 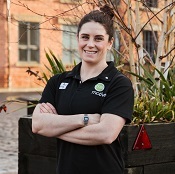 Also a qualified Biomechanics Coach and Sports Massage Therapist, Kate's specialisms include exercise for the management of lower back pain, weight/fat loss, group exercise and working with specialist populations. Kate is also pre and post-natal qualified and loves training small groups of pregnant ladies! Kate loves ALL exercise and has recently started participating in cycling sportives. Outside of work Kate loves going to fitness weekends, walking in the lake district or being out on her bike. Give it a try – what’s the worst that could happen? 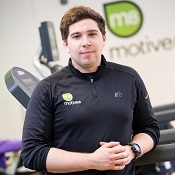 Alex is motive8's resident weight lifter and sports performance coach. Trust the process. Most people overestimate what they can accomplish in the short term, but MASSIVELY underestimate what they can accomplish over the long term. In addition to being an awesome Personal Trainer, Emily is also motive8's go-to expert in nutrition. Her amazing nutritional advice, combined with effective programming is a recipe for success when it comes to achieving your goals. Emily is a massive fan of strength training and Yoga and takes an holistic approach to exercise, nutrition and health. Her attention to detail with programming & support is second to none - get ready to smash your goals! The key thing to achieving your goals is consistency....this will help you achieve your goals for the long term. Not only a great PT, Joe is also a Sports Therapist. With a great reputation for getting results whilst helping to address and correct his clients' niggles. Joe's strengths lie in strength & hypertrophy training, fat loss and exercise rehabilitation. Start with mastering the basic lifts such as squat, deadlift and bench press to build a solid base then progress! Also, don’t be afraid to step out of your comfort zone and try new things such as classes!